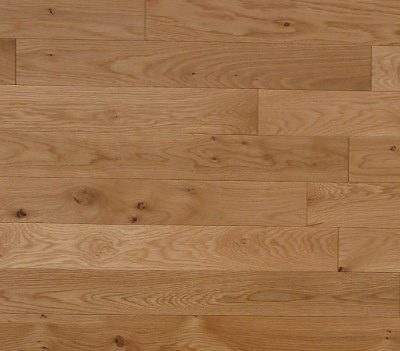 White Oak is harder than Red Oak and has been used for everything from wine barrels to truck floors. Dense and durable, it has a creamy sapwood and dark gray-brown heartwood. “Rift and Quartered” means it is cut on an angle across the growth rings, which results in a uniformly-vertical grain. This offering has shorter average lengths, but is a select grade at a fantastic price. It’s milled with microbevels and a slightly wire-brushed surface, and is suitable for above-grade installations. 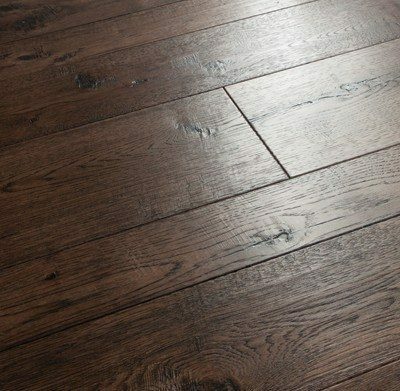 Solid wood flooring can be nailed, or glued with the appropriate mastic. The finish has a limited 25-year residential warranty. Availability is limited at this price.